Laptop with WiFi; to move through your house and capture WiFi data. Install and then launch software. When the program loads, look for the section on the right that says “Do you have a map?”. Select the appropriate option. Left-Click your current starting location. Move around the space and continue to left-click on your location each time you want to take a measurement. When you have finished taking measurements then right-click anywhere on the map to end the survey. The images below are for Access Point “Collage 2GHz”, which is in my living room on the main level. This shows how weak the signals are in the corners of the house and in the basement. The heat map groups the dBm measurements into 9 strength bands. The values are basically the amount of dBm loss from the source. The full signal would be zero, and any loss would be shown as a negative value. If you do not have access to floor plans, draw your own. I took a screen capture of an overhead view of my house in google maps. I then open this in paint and roughly drew in where the walls are. The results will depend on the accuracy of your floor plan and accuracy of the position of your survey clicks. The more measurements you take the better. 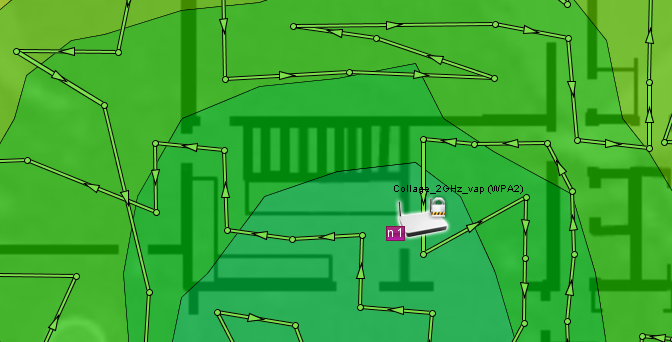 The default view shows the combined coverage of all access points. Hover over and access point to view its coverage. 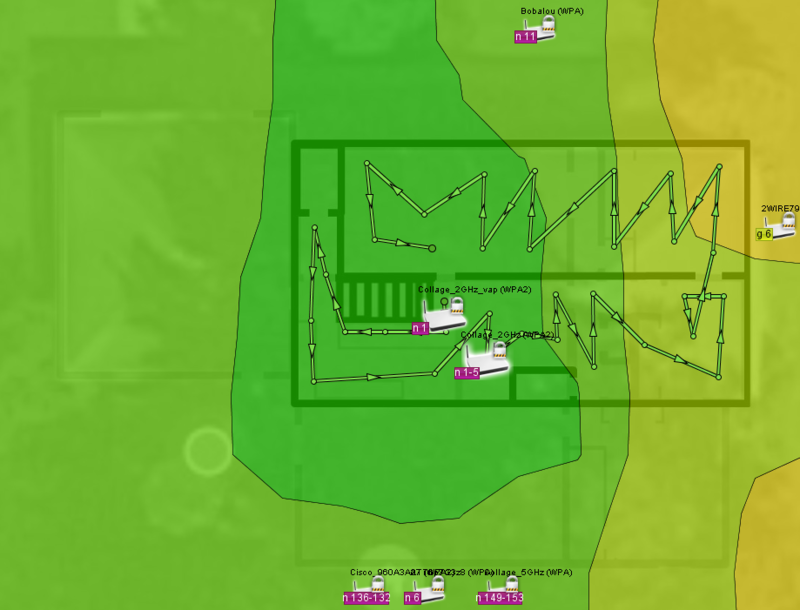 Access Points will often not show exactly in the right position, but the software does its best with the data you provide. If you need an easy and free way to get visibility into your home or small office WiFi coverage then Ekahau HeatMapper will do that for you. If you require complex and multi-level (3d) analysis then you will likely need to purchase some professional software, which Ekahau actually does offer, among other companies. Thanks for contributing. Does it work on windows or mobile? I’d like to try it out. Yep, they released Windows version recently: http://www.netspotapp.com/netspot-windows.html .